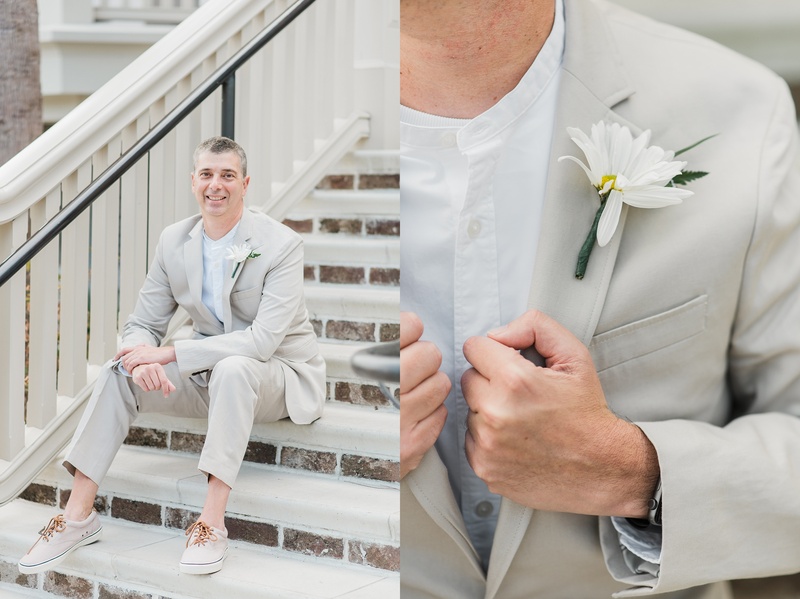 Destination Hilton Head wedding with a huge New York family! “Big, happy, family” is the understatement of the year when it comes to these guys. 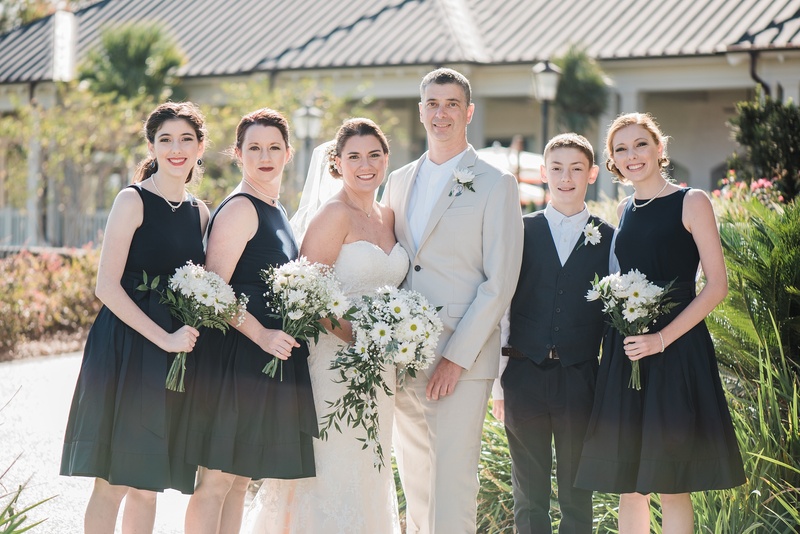 They planned their destination Hilton Head Island wedding from New York, and expected that a few of their closest family and friends would come. 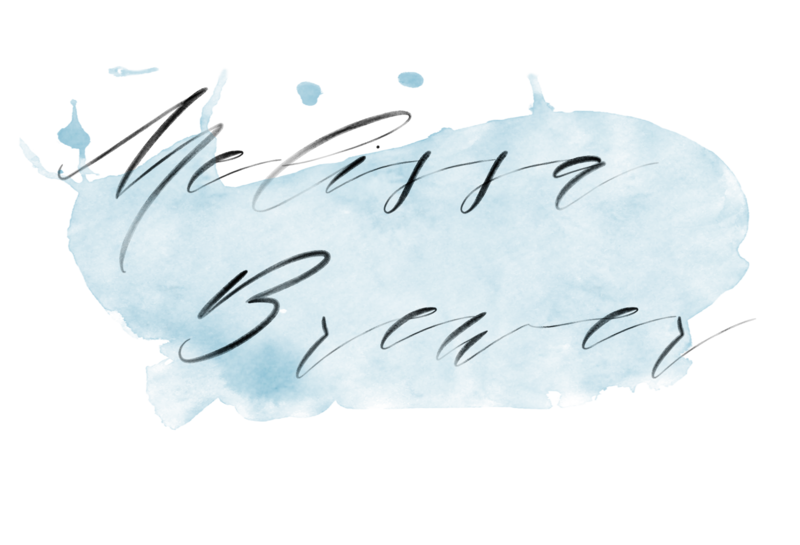 In fact, when they first contacted me about photographing their wedding, the guest list was estimated to be about 50 people. By the time their wedding day arrived, they had 135 of their friends and relatives next to them celebrating their union! 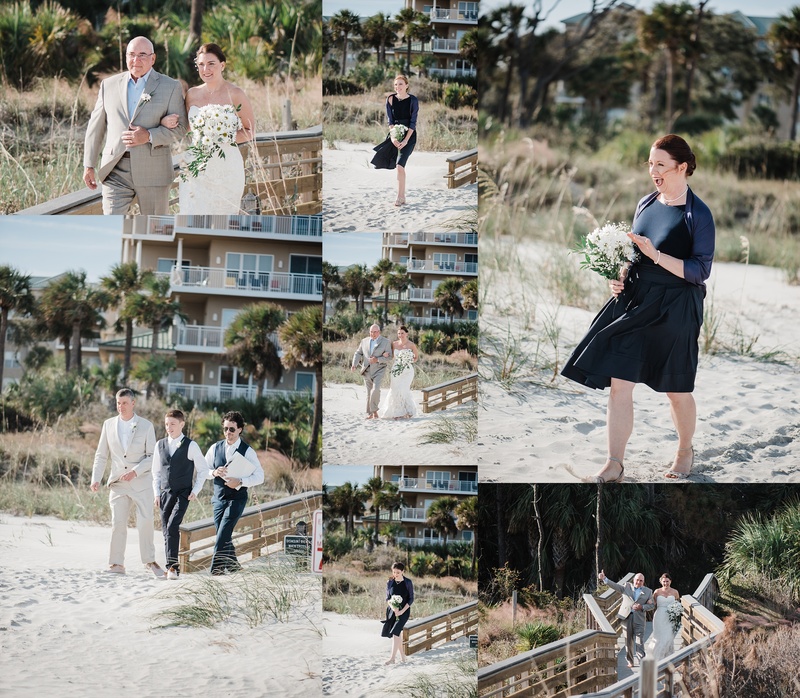 My second shooter, Mary Louise, and I were honestly amazed at how many folks made the trip for this destination Hilton Head wedding, but we hardly had a chance to marvel before we were embraced and treated as additional members of the party! 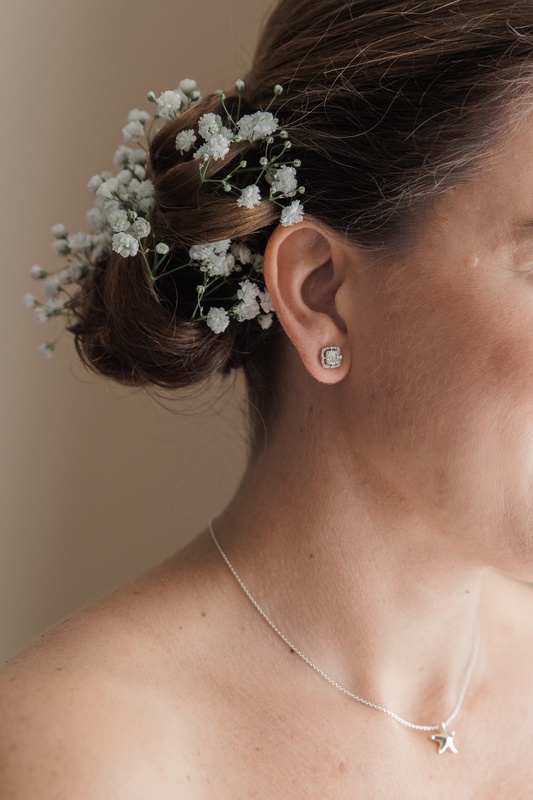 I will try not to blabber on and on about this wedding and what an honor it was to photograph it; I think it’s safe to say that the photos will tell most of the story! 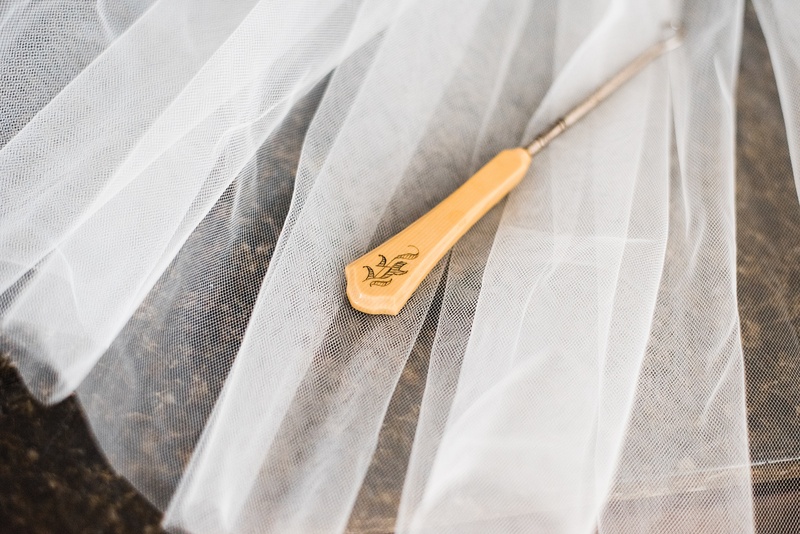 Kerri’s dress had a ton of teeny tiny hooks and buttons up the entire back, but her best friend and maid of honor was prepared with this beautiful antique button hook. Little details like this are what not only helped the day to go more smoothly, but also made the event incredibly unique. Not pictured in the photos above: my second shooter and I sobbing behind our cameras when Kerri’s father saw her for the first time. 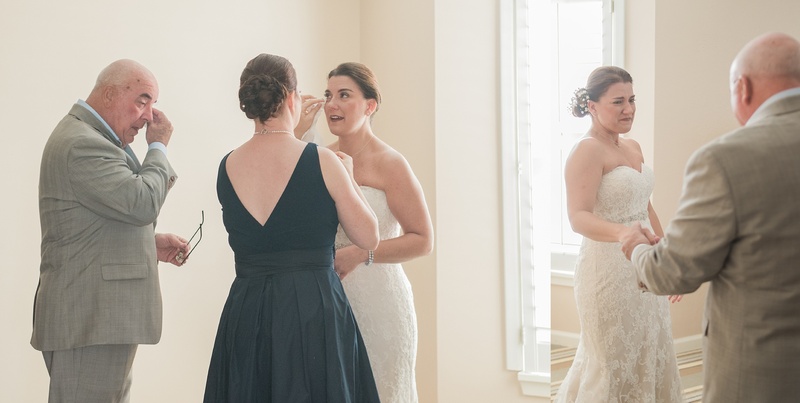 Bless her mother’s heart; she had to completely leave the room as soon as she saw her husband and daughter’s first reactions in the moments before dad gave his daughter away to the love of her life. 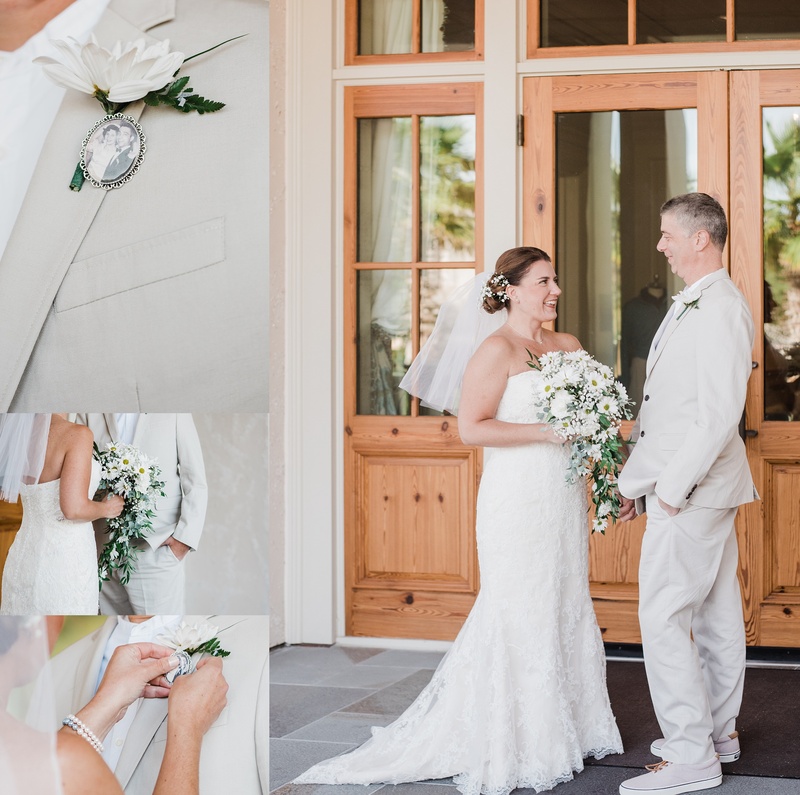 Once everyone had dried their happy tears and the FABULOUS hair and makeup artists had touched everyone up, we packed up and headed over to Hilton Head’s Sea Pines Resort at the Harbourtown Golf Course for Kerri and Joe’s first look! 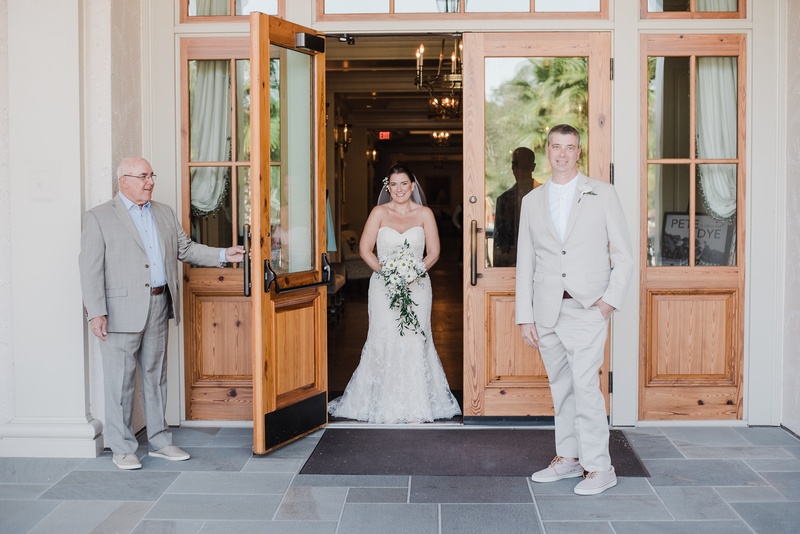 Kerri’s dad helped set up the first look, and Joe’s three children, Erin, Bridget, and AJ, had an energy and joy that was so contagious, you couldn’t help but be enveloped by their excitement! 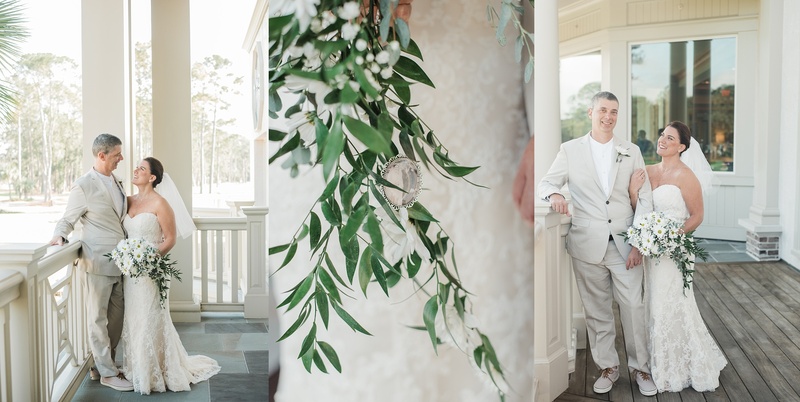 We found a special place at Sea Pines Resort to take the following photos, and Kerri’s dad almost caused my eyes to well up again when he said, “you know, I’ve been with my girl for two out of the three items on her bucket list. After today, I’ll have three out of four!”. 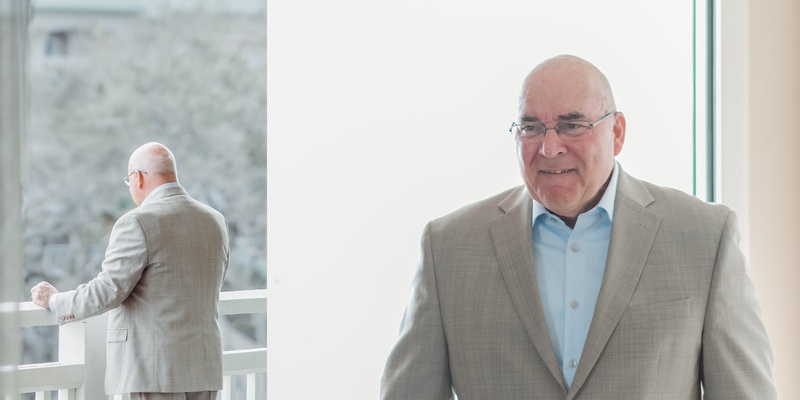 Having not had my own father at my wedding (which is something that my second shooter and I have in common, unfortunately), these comments and memories are extra important for me to document for my clients. Every member of your family, every friend who celebrates with you, is a person whom you’re beyond fortunate to have with you on this most special of days, and I LOVE when people remember that the way these two do! 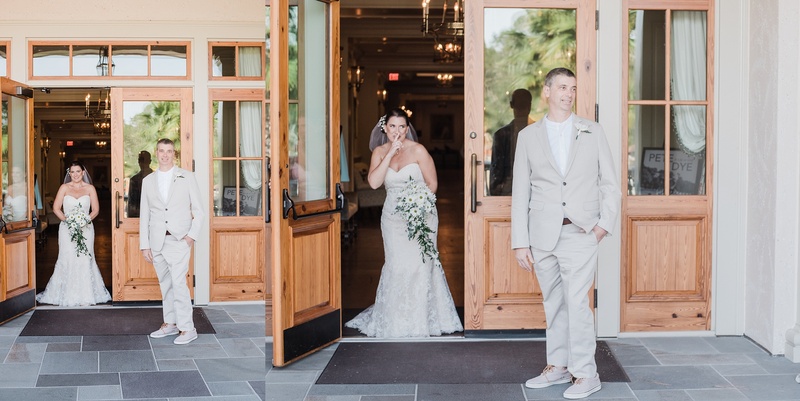 Arriving back at the Shorehouse at the Omni Hilton Head Resort, the wedding party found their “hiding places” while I my second shooter and I photographed the reception. I am absolutely in LOVE with all of these details! 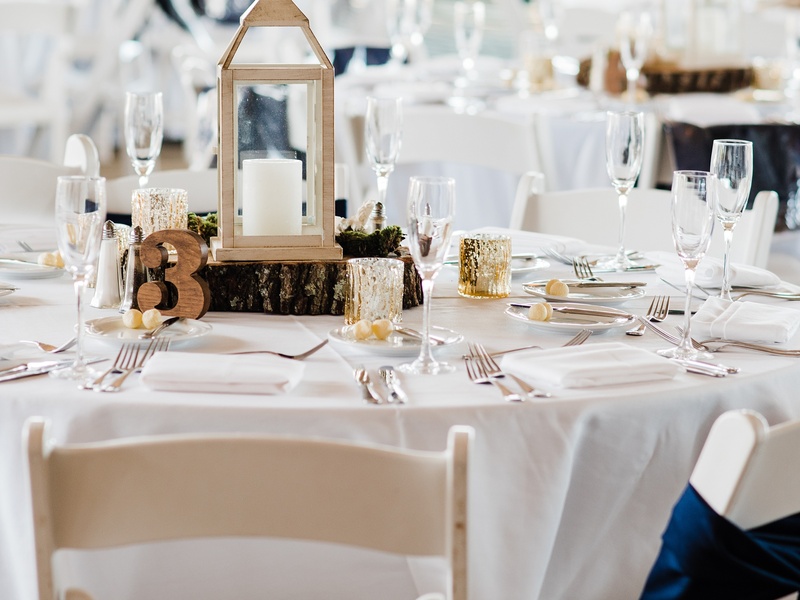 Amanda Rose Weddings and Purely Decor did an exceptional job putting together the smallest of details to create the perfect rustic-yet-glam beachy ambience! 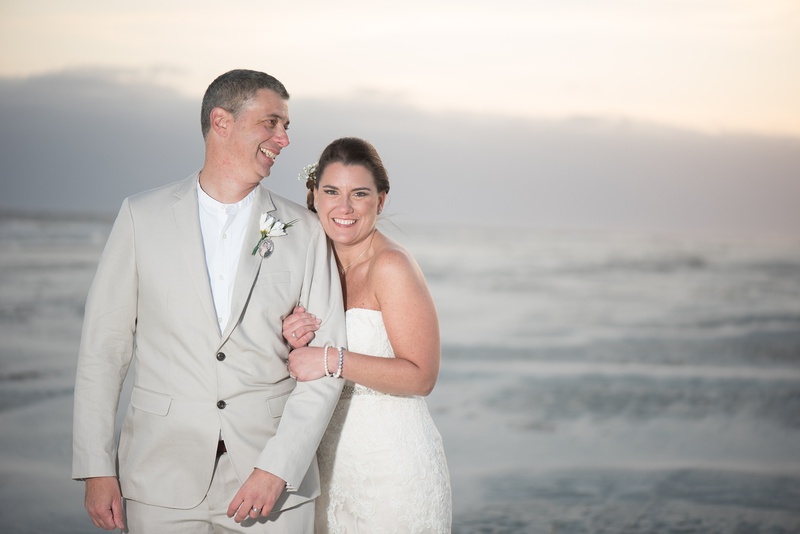 The oceanfront at Hilton Head was as beautiful as always, though it was quite chilly! 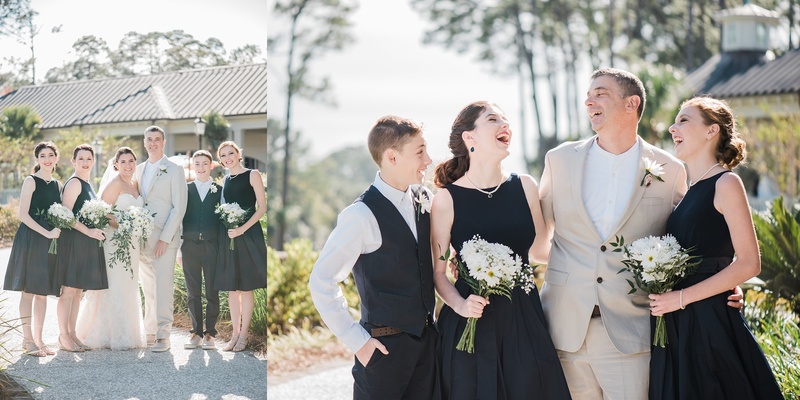 The temperatures had held at a balmy 70-ish degrees all week long (delighting everyone visiting from NY, PA, and Chicago, of course), but we had a cold front come in just in time for this destination Hilton Head wedding, and it got alllll the way down to 44 degrees! That’s quite enough chilliness for this Southern girl, for sure! 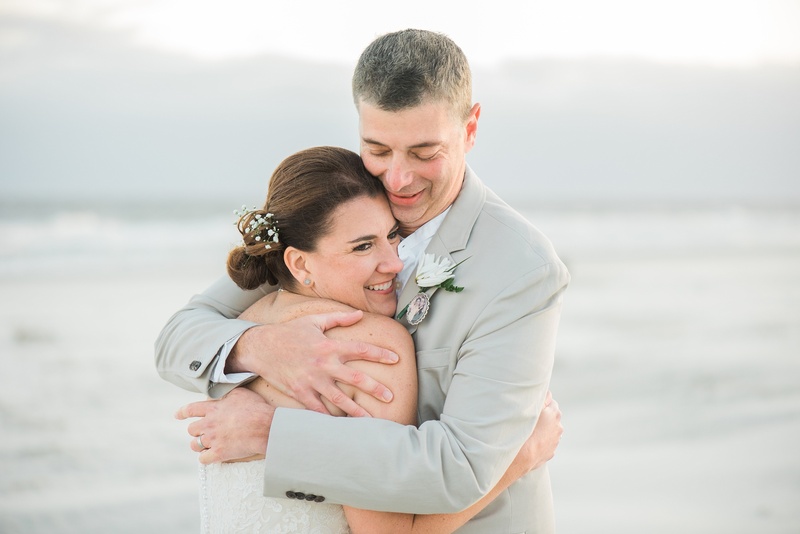 Despite the chilly temperatures, Kerri and Joe’s ceremony was perfect. Joe’s nephew, Bryan, provided his beautiful acoustic guitar and singing talents for the ceremony music, and Joe’s nephew-in-law, Gil, officiated, injecting the perfect blend of reverence and humor into the ceremony. 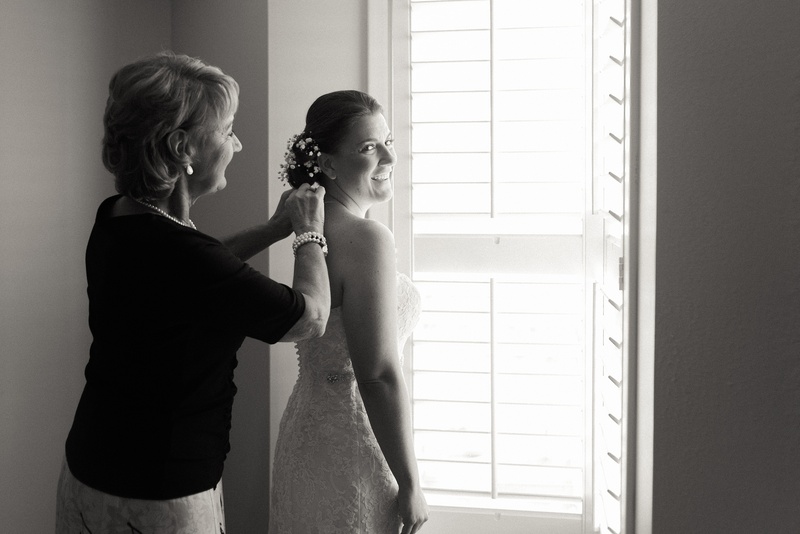 Just like the rest of the day, the reception and evening portraits were full of love, family, joy, and celebration! Joe’s niece, Leigh Ann, sang beautifully, accompanied by her brother on the piano, and many moving toasts were given. My second shooter and I were embraced by the couple’s family and friends, and JUST MAY have done a little dancing of our own (okay, here’s where I admit that Joe’s niece is a very dear, dear friend of mine, and when “our song” — Billy Joel’s Piano Man — came on, I just HAD to join in)! 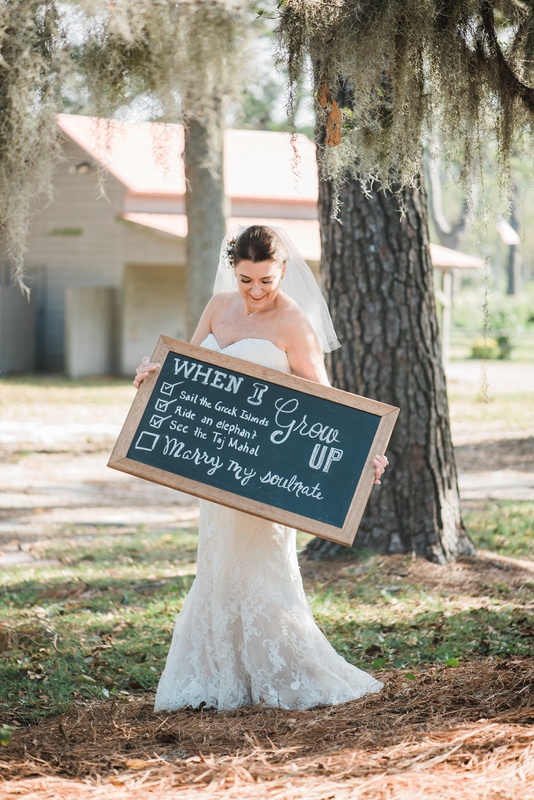 Aside from these highlights, I’ll leave the reception photos to the family to share…what fun would it be if everyone had already seen them all here?! 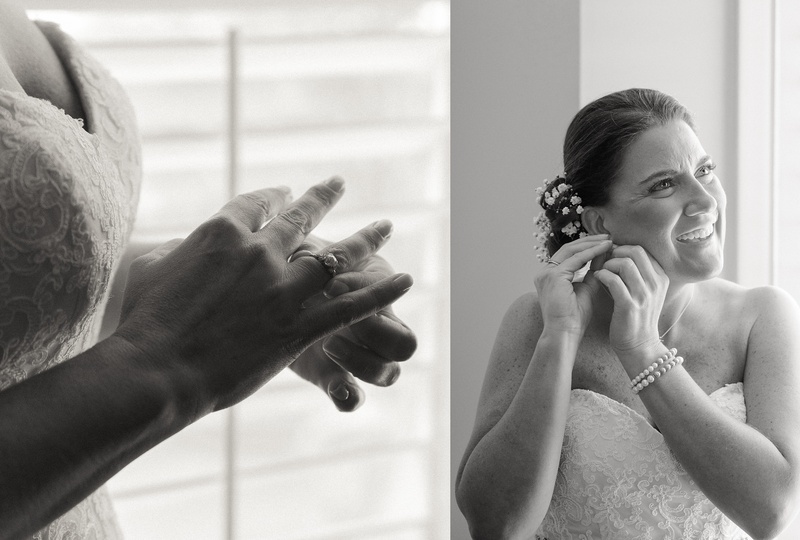 Kerri and Joe, THANK YOU from the bottom of my heart for allowing me to be a part of your wedding day. I’m so honored to have been there to capture the day you all became a family, and honored to have witnessed such amazing love. capturing these wonderful moments. Thank you for sharing them!